A wedding day is a crazy day. The patter of advice in the lead up to the big day is always the same… take the time to absorb everything as it will go so fast, don’t forget to have some alone time together, don’t panic about things you can’t change, no-one will know… You have spent so much time working up to this day, it’s exhausting and thrilling and the adrenalin runs through you and adds to your amazing day. The next day you are running late to catch a Eurostar for your mini-moon, and are clearly about to miss your train and then you literally fall out of the Uber because you’re so tired (sorry was that just me?!). What I’m trying to say is that as soon as the day ends, the tiredness kicks in and you just want to look at the pictures and catch up on sleep. All that stuff you said would be easy to do after the wedding gets put to the side and forgotten. Here I am 7 months post wedding; we haven’t chosen the pictures yet for our album, my wedding dress is still sitting in my childhood bedroom having not yet been to the dry cleaners and I have yet to do something with the glass my husband smashed at the end of our ceremony. Smashing the glass is such a symbolic part of the wedding ceremony. There are many reasons behind this iconic moment (can be seen here). For me at my wedding it symbolised the breaking of many potential barriers that my husband and I could face in our lives and when he broke the glass we were able to consider the difficult times that may come in our future. It also was a moment when that one damaged item can be turned into something new and exciting. The shattered glass is often thought of as a reminder of negative times in the past and potential rocky situations in the future, but by taking that shattered glass and turning it into something new and beautiful, you are creating a new symbol; one that says the bad times can lead to new and exciting situations. This is why my smashed glass is still sitting quietly on my shelf waiting for me to do something with it… I couldn’t decide what to with it! It is becoming more and more popular to buy a special glass and send it off to someone after your wedding to have it transformed into something like a mezuzah or a picture frame. 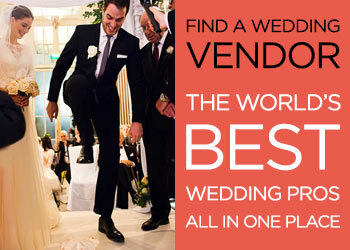 I did look into this before our wedding, but to be honest, I couldn’t find anything I liked enough. Especially when I saw the prices! So one day, many months after the wedding I sat down and thought about all the different things I could do with this glass. I came up with a list of about 10 different ideas; some were clearly easier than others. But I love trying new crafty techniques, so thought I would give each of them a go and share the first five with all you wonderful STG readers! Before I head into the list of ideas I’ll add a little safety note if you choose to try any of these ideas — you are working with sharp smashed glass so be careful and wear gloves (this may seem obvious… but you should have seen my husband dive into the box of smashed glass without his gloves before I stopped him!) 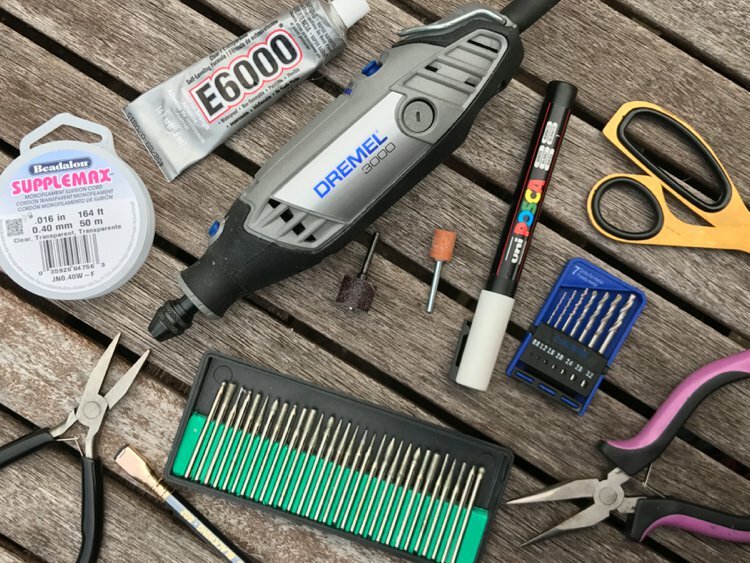 If you have access to a multi-tool such as a Dremel, then there are many attachments that work wonders at smoothing the edges. I prepared the glass in a large batch so when I was working with the glass I didn’t have to worry about cutting myself. This is a really good idea if you have lots of tiny fragments left and works even better if you had a colourful glass. It looks really effective and is something you can carry around with you everywhere you go; a perfect reminder of a special moment. It looks like it would be really difficult to do, but once you’ve got the hang of it it’s surprisingly easy. 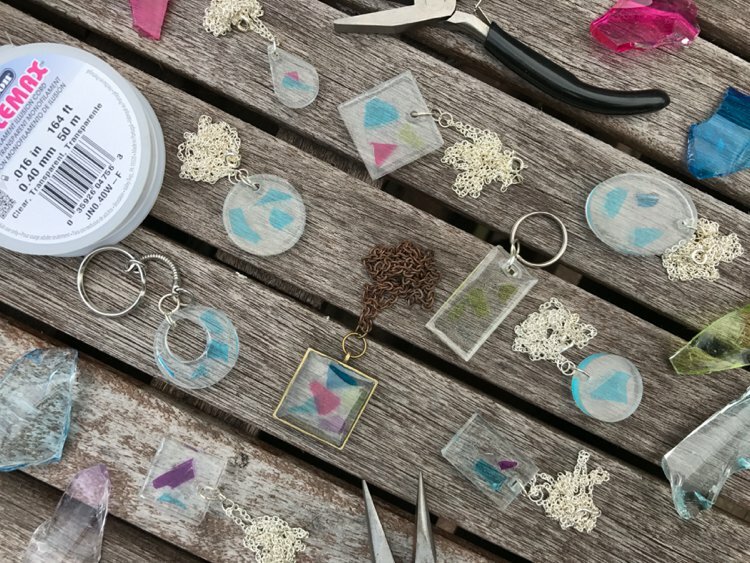 For this I used this Resin Keepsake Casting Kit that comes with all you need and some extra sparkly bits to add to your work if you wanted to use it too. After a practice I decided I wanted to use a silicone mould and I found this so much easier to use. The key to success is to read the manufacturing instructions, practice first with something you don’t necessarily want to keep and take it slowly. The final step was to add a keyring or a pre-assembled necklace. I always have some of these knocking about. 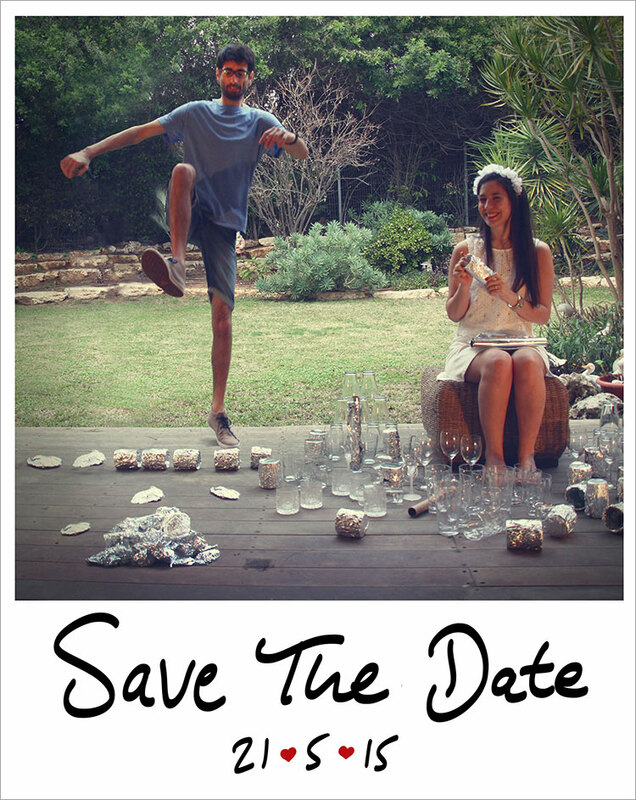 The ultimate ‘Smashing The Glass’ Save The Date design! 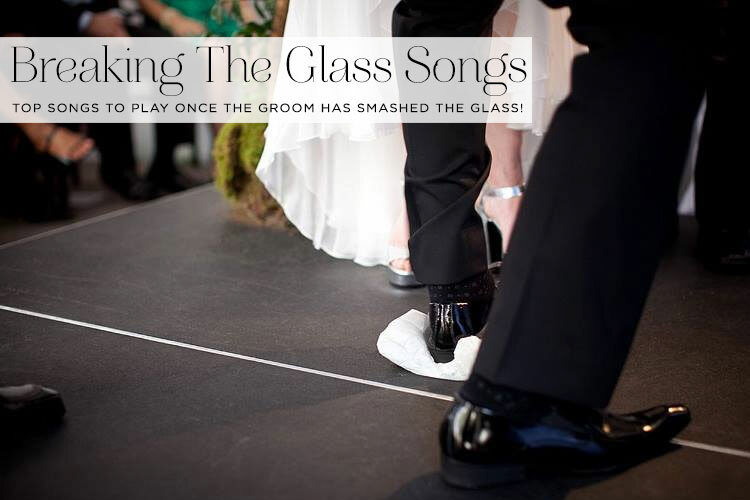 Top 20 songs to play immediately after smashing the glass at a Jewish wedding! 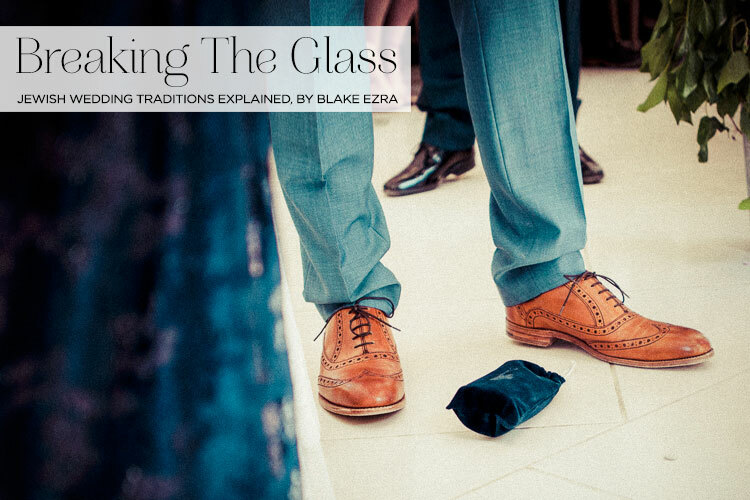 There’s no doubt about it, one of the theatrical highlights of any Jewish wedding is when the groom stamps his foot and smashes that glass (is it any surprise that it’s the Jewish wedding tradition this blog is named after?!). For me, the breaking of the glass is THE moment of a Jewish wedding. With cries of ‘mazal tov’, cheering, clapping and hollering, it’s a great time to play your favourite party song to kickstart the celebrations, smooch your beloved for the first time as man and wife, and joyously embrace your loved ones. 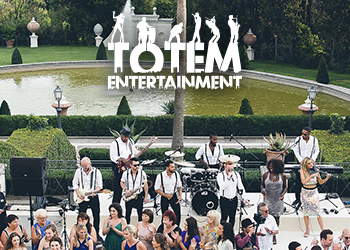 You may want to choose a tune that’s personal to you as a couple, or perhaps something brilliantly traditional like Siman Tov U Mazal Tov or Hava Nagila, but if you want to pump up the party atmosphere, choose any one of following 20 songs. 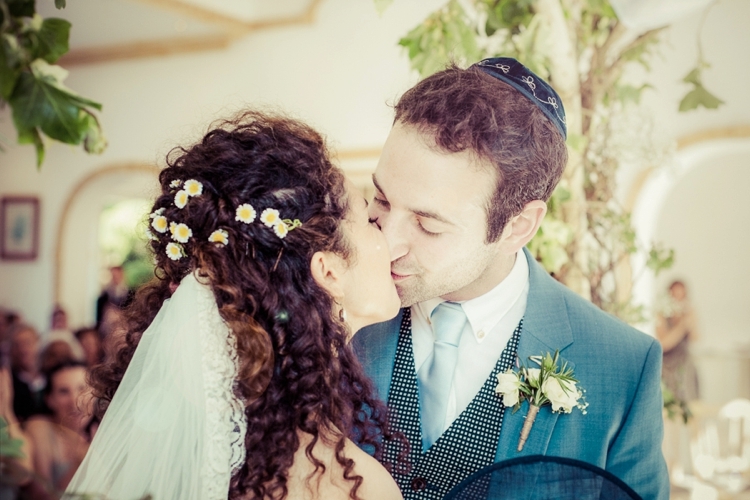 The first 10 tunes are my top picks, whilst the following 10 come courtesy of Maya Bechor from Zebra Music, who’s an expert at gently encouraging couples to step out of their comfort zone of ordinary “wedding music”. All 20 tunes are also handily compiled in this Spotify playlist for your entertainment pleasure. Oh… and for the perfect accessory for smashing the glass, you’ll want one of our own-brand smash glass pouches! Are there any other ‘breaking the glass songs’ you’ve you heard that really got the party started? Let me know in the comments section below! All imagery by Blake Ezra Photography. 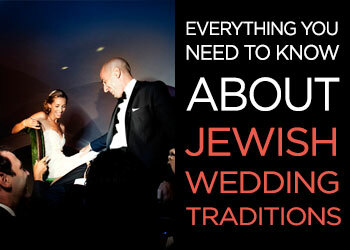 This is part 7 of the 9-part Jewish Wedding Traditions Explained series. This is it, the time has come. With so much preparation carried out for this very moment, the ring placed upon the finger, every guest in the room hurriedly preparing their iPhones to take a shot, and clearing their vocal chords to shout “Mazal Tov”, it’s time to break the glass! 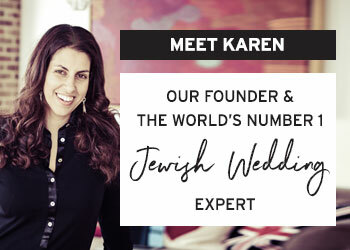 Such is the synonymy between Jewish weddings and smashing a glass, that we hear the most uber-cool Jewish wedding blog has been named after this very tradition. 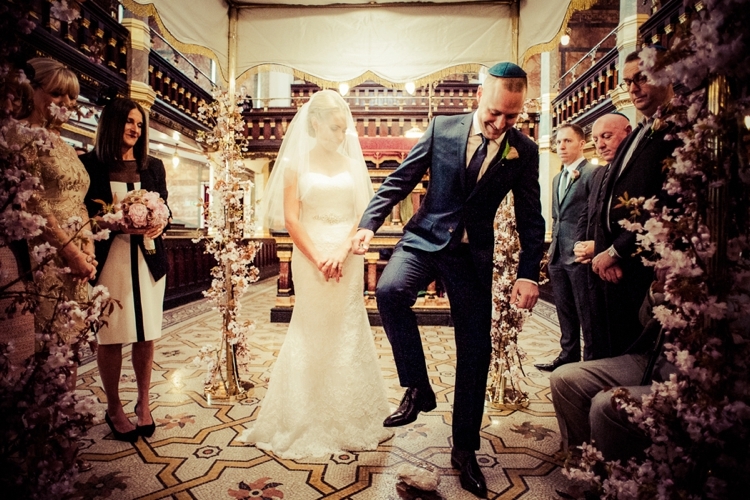 This site wasn’t named ‘Dancing the Hora’ or ‘Eating the Canapà©s’, but Smashing The Glass, as this is THE moment of the Jewish wedding. 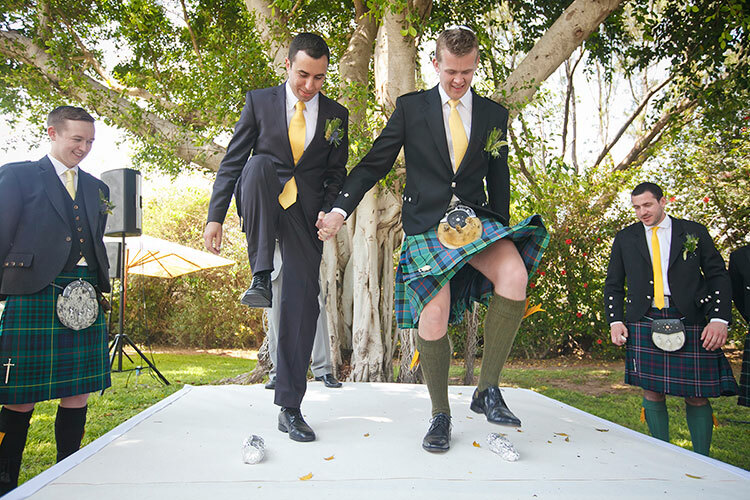 The glass, usually wrapped up in a cloth or napkin, is placed on the floor in front of the groom. However before it is smashed, it’s traditional at most Jewish weddings for the Rabbi or Chazan (Cantor) to sing a Hebrew song called Im Eshkakech Yerushalayim, or in English… ‘If I forget you, Jerusalem’. This commemorates the falling of Jerusalem and destruction of the two Jewish temples that once stood there. It’s said that whenever Jewish people experience immense joy, they should also remember the less joyous times in their ancestry. With celebration comes commemoration. So once the less beautiful times have been remembered, the time comes for the groom to break the glass. Why is this done? Great question. 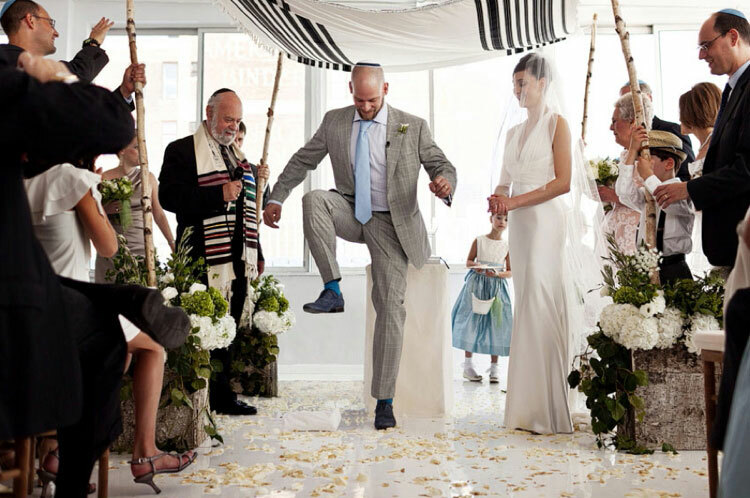 There are many reasons that Jewish grooms break a glass at the end of their ceremony, sealing the marriage to their Bride. The first being, in keeping with the song that had just been sung, to commemorate the destruction faced by Jewish people over the past two thousand years, a nod to the suffering that had come before. After all, if you can remember the dark times even on the brightest of days, you’ll never allow them to be forgotten. 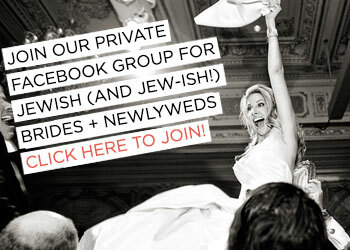 Now THIS is how you break the glass at your Jewish wedding!